The police have reportedly also arranged an informal meeting between the farmers and the complaining parties. 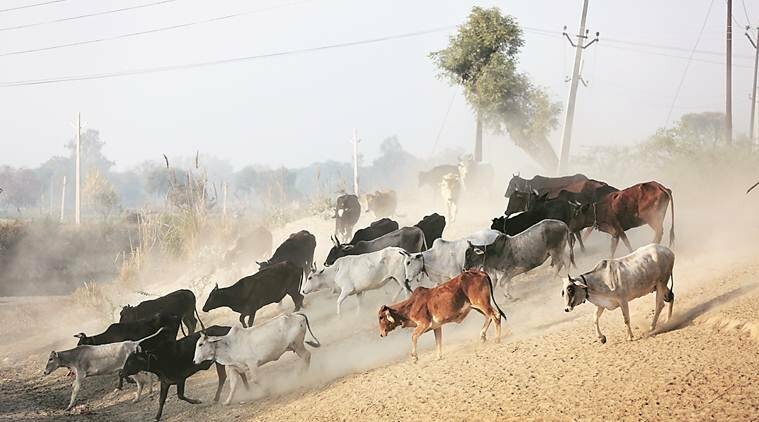 Amid growing resentment among the farmers following FIRs for abandoning stray cattle, the Uttar Pradesh police has started withdrawing these cases in various districts of the state. Reports suggest that the police are filing closure reports in the cases as the witnesses fail to turn up for the proceedings. The police have reportedly also arranged an informal meeting between the farmers and the complaining parties to ensure that no punitive action is taken against them. The menace of the stray cattle could be gauged from the number of incidents where farmers have been compelled to lock up bovines in the premises of different government schools across the state to prevent damage to the harvest. The quite burial of a case in Dakilpur village of Auraiya district shows the growing resentment among the farmers against the administration in the state. The police had named several villagers in its FIR which alleged that teachers and other staff members of a government primary school were assaulted when villagers herded animals into the school campus. The complainant, principal Tara Chand, said that they have withdrawn the case after villagers offered an apology in the informal meet organised by police. The principal had said that a few staff members were assaulted on January 19 when they were filming the villagers herding animals inside the campus. “The next day, police called the villagers and held a meeting with the school staff. The villagers claimed they were not involved, and that those who had assaulted the staff were from neighbouring areas. But they admitted to having herded the cattle to the school and apologised. Since they apologised, the issue was resolved there itself. Police from the local (Phaphund) station, including the station in-charge and the investigating officer, were present at the meeting,” The Indian Express quoted Chand as saying. The state police had been on a spree to file FIRs in other districts too after the incidents of locking animals in school campuses emerged in Agra, Shahjahanpur and Hathras. However, there was no significant progress in these cases. Take a look. Agra: UP Police filed an FIR on February 4 after 125 people herded animals into government primary school in Budauli village. A case was registered under the provisions of Prevention of Cruelty to Animals Act. No Arrest has been made. HATHRAS: The police are still clueless about a group of farmers that herded stray cattle inside a government primary school at Pateni village on December 27. An FIR has been registered, but no person has been arrested. Allahabad: Villagers allegedly locked up animals in a government primary school in Bhadivar village of Shankergarh block. An FIR was registered. No Person has been arrested. The crisis also exposes the claims of Yogi Adityanath government which had allotted Rs 10 crore to each of the 16 municipal corporations and Rs 1.5 crore to each district to build cow shelters.